An increasing number of teenagers are self-conscious about their smile, even to the point of their investigating porcelain veneers for a smile makeover. In previous years, orthodontics was the primary concern for youths and their teeth, but in today’s world, many kids want more than just straight teeth—they want a celebrity smile. Peer pressure and concerns about their personal image are causing many teens to become interested in cosmetic dentistry. But are porcelain veneers a good option for teenagers? Physical development – Any brand of porcelain veneers is ideally placed after a child’s teeth and mouth have fully developed. If a child is still growing while the veneers are placed, they may fit well at first. But as teeth lengthen and the jawbone further develops, the gumline develops too. Eventually, there will be a visible gap between the gums and the edge of the veneers, and they won’t look natural. The veneers will need to be removed and replaced. 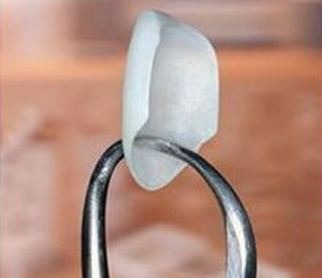 Permanence – Porcelain veneers are permanent. In most cases, before you receive them, a small amount of your tooth structure needs to be shaved to ensure the veneers fit closely to your gumline without irritating it. The preparation of your teeth also prevents the veneers from looking bulky. But after your teeth are prepared, the veneers can’t be removed if you change your mind and just want to go back to your natural teeth. You will either need new porcelain veneers or some other type of cosmetic treatment to cover and protect your teeth. Cost – The cost of porcelain veneers is per tooth. If you want veneers to cover all of the upper teeth that show when you smile, you’ll need at least eight of them. Depending on where you live in the U.S., a single veneer can cost $1000-$1800 or more. Although veneers are permanent, if you’re only perhaps 16 years old, they will probably need to be replaced at least three more times throughout your life. Although cost isn’t a concern for everyone, most patients have a budget. Although bonding will wear and eventually need to be replaced, it is significantly less expensive than porcelain veneers. It is best to find an accredited cosmetic dentist to examine your teeth and recommend treatment that makes the most sense based on your age, the condition of your teeth, and your goals for your smile. When your growth is complete, porcelain veneers might be a good option to help you achieve the smile you want. This post is sponsored by Lowell accredited cosmetic dentist, Dr. Michael Szarek. Dentures – It is possible that your prosthesis wasn’t correctly made. Before you receive dentures, impressions of your mouth are taken. Inaccurate impressions can result in poor fit. Additionally, incorrect locations of the attachments in the denture base can cause them not to fit correctly on the implants. And, depending on the age of your dentures, the attachments might be difficult to place, or they can be worn and need to be replaced. 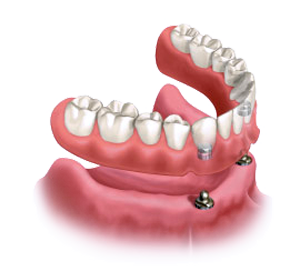 Implants – The position and angle of your dental implants are crucial for your dentures to fit correctly. Proper planning is required for accurate placement. This includes a three-dimension CT scan to identify the best location for maximum support. Sufficient bone density is needed for your implants to remain stable. Communication – Close communication is required between the implant surgeon and the restoring dentist to ensure precise placement and comfort. If clear instructions are not provided, either the implants or the denture can be incorrectly placed. If you are experiencing problems with the fit of your denture and dental implants, speak with your dentist and implant surgeon. You can also consider scheduling a second opinion with an experienced implant dentist. He or she will examine your denture and implants to determine the reason for the poor fit. Further diagnostic studies might be required to identify the cause of the problem and resolve it. This post is sponsored by Dr. Michael Szarek, a Lowell, MA accredited cosmetic dentist.